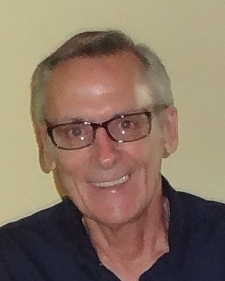 Robert Scott Kleinert died at age 61 in Miami on 9/14/2018 following a long illness. Known to his friends as Scott, and as "Gator" in his early years, he was born in Houston and grew up in Pinecrest, finishing high school in 1978. He became a park ranger at John Pennecamp State Park during the 1980's then worked for Monroe County Mosquito Control in Key West for several years before moving to Hollywood and was an inspector for Broward County Mosquito Control for 29 years prior to his retirement this year. His brothers were Chris Kleinert of Dallas and Brad Kleinert of Miami. His parents were John Kleinert of Pinecrest and Jeanne Anderson, the latter preceding him in death. His life partner was Debra Hughes of Hollywood and his best friend was Robert Smith of Pinecrest. Brad's partner, Jaqueline Incer, helped provide loving care for him during his last months. During his lifetime he remained close to his family which included his step mother, Kathy, his step sisters Jennifer Kelley and Wendy Cavendish and her husband, Steve. He shared many happy holidays with them before emphysema took its long slow toll which ended this month. His passions were vintage cars and, earlier, his guitar which gave him much pleasure over the years. Always generous and considerate, he was dearly loved by his family. He leaves many happy memories for all who knew and were warmed by his presence. A memorial service will be held for Scott at Christ the King Lutheran Church in Pinecrest (11295 SW 57th Ave.) on Wednesday, Oct 3rd, at 4 PM. Reception following the service at the Kleinert residence.